Following two hugely successful outings last year, When In Manchester festival is back for a third installment this April, Getintothis’ Jake Marley is pretty excited. Following on from two fantastic all-dayers last year, When In Manchester festival is back for a bigger and better third installment, Saturday April 15, expanding to four venues and once again showcasing new music on its front-page. The festival was created back in early 2016 by four young women who’d had enough of the cries that there aren’t enough opportunities for emerging bands and decided to step up and do something about it. Across its two events to date, When In Manchester has played hosted to the likes of INHEAVEN, The Amazons, The Orielles and Trampolene with both supporting and unearthing new talent well and truly the festival’s heartbeat. 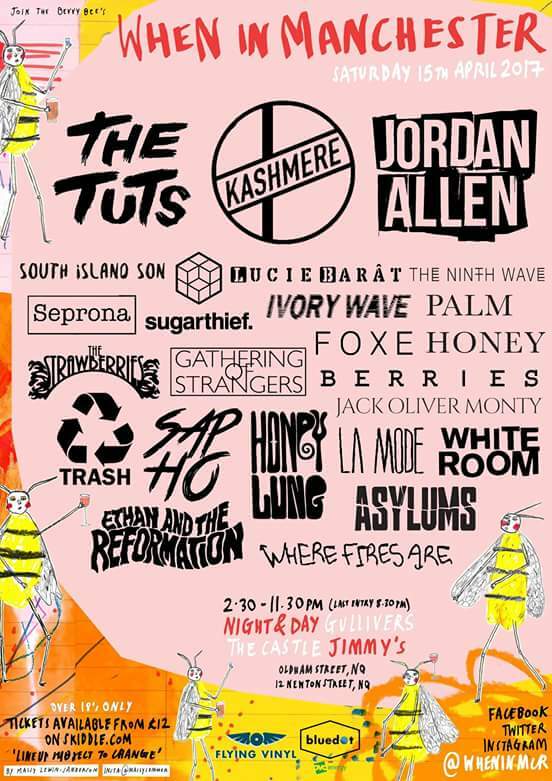 For 2017 the festival is once again calling Manchester’s Northern Quarter home with Night & Day Cafe, Jimmy’s, The Castle Hotel and Gullivers hosting bands across the all-day event, which will be headlined by The Tuts, Kashmere and Jordan Allen, backed up by a stellar bill from top to bottom. 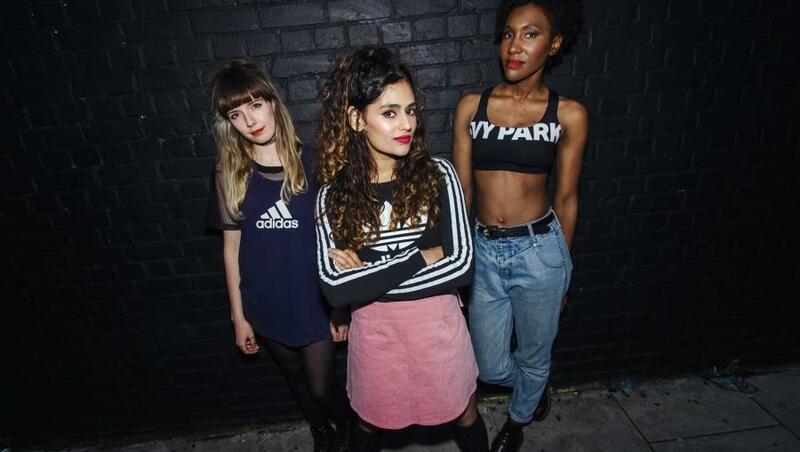 The Tuts released their debut album Update Your Brain last year to hugely positive reviews across the board, while Kashmere kicked off this year by releasing absolute banger Porcelain and Jordan Allen’s Livin’ La Vida Bolton EP recently featured on our Getintothis Jukebox column. This edition also sees a collaboration with Flying Vinyl for their Jimmy’s stage which will feature Palm Honey, Trash, Honey Lung and many more. Elsewhere there’s a further collaboration with Bluedot to bring yet more fresh catches to the all-dayer. Fabulous trio FØXE also return after an eye-catching performance at the festival’s debut offering back in 2016. After wowing crowds all last summer, White Room are gearing up for another big festival season and a intimate stop at When In Manchester is sure to be memorably frenetic. Leeds outfit The Strawberries also perform following the release of their belting new single Fantasy Machine, they’re joined by the phenomenal Lucie Barat who will be showcasing new music with a single due in May, while youngsters SAPHO appear off the back of support from This Feeling during their early run of gigs and Ethan & The Reformation are set for a strong showing following support from BBC Introducing last year. Also appearing across When In Manchester festival: South Island Son, Asylums, Ivory Wave, The Ninth Wave, Seprona, Gathering of Strangers, Sugarthief, BERRIES, Jack Oliver Monty, LA Mode, Where Fires Are. When In Manchester festival takes place in various venues across Manchester’s Northern Quarter on April 15, early bee tickets have sold out, remaining tickets are on general sale now.